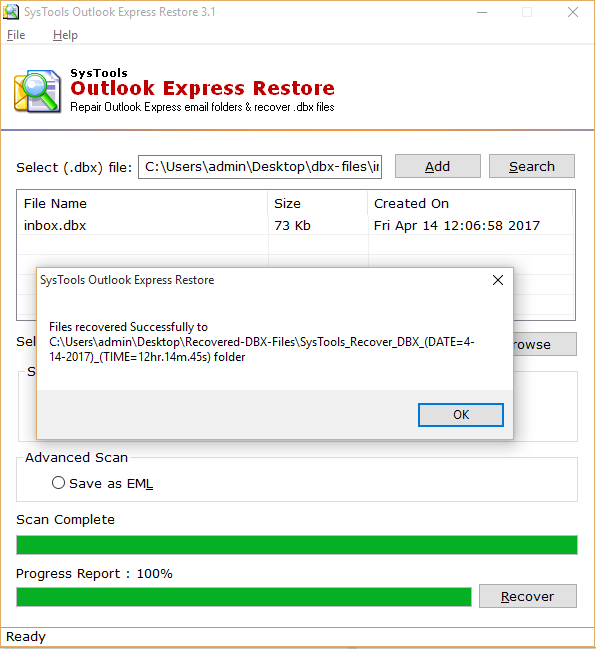 The Following Screen Comes When Click on Add button. 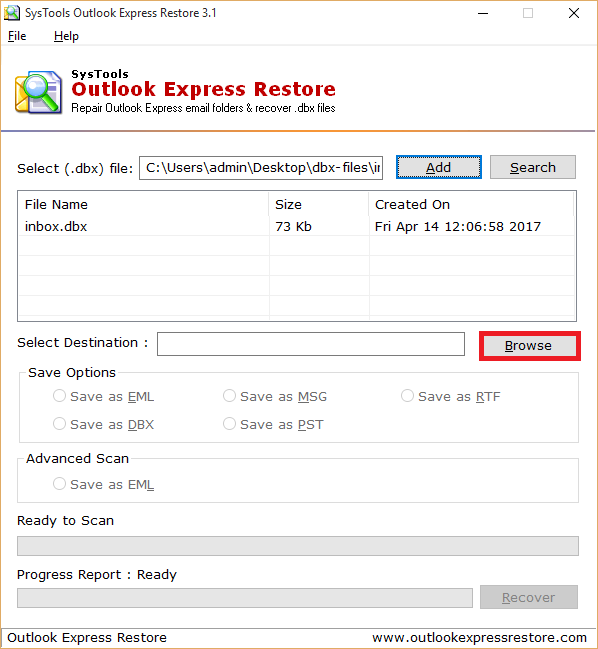 Select Desired DBX file and click on Open button. 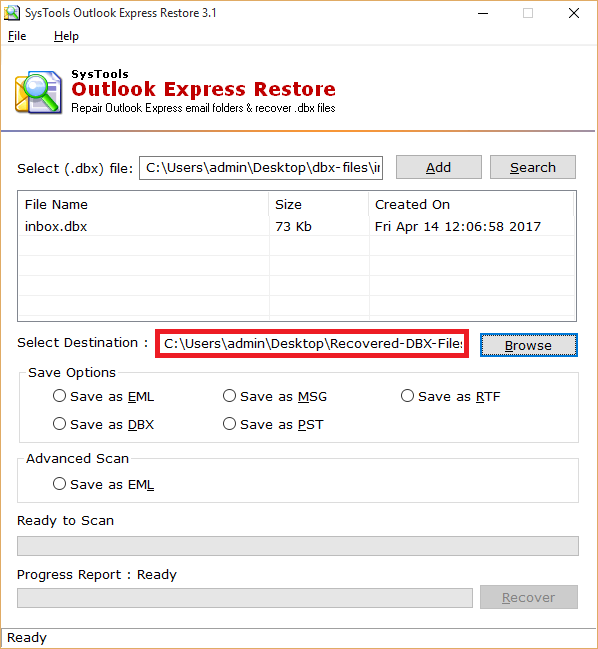 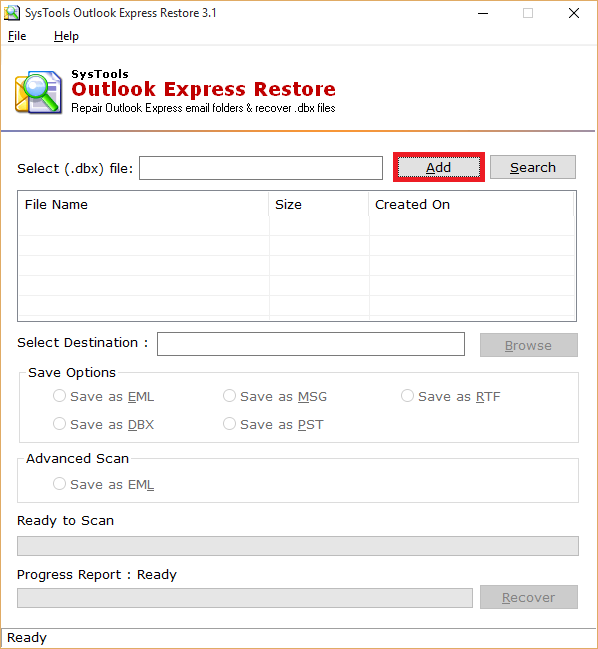 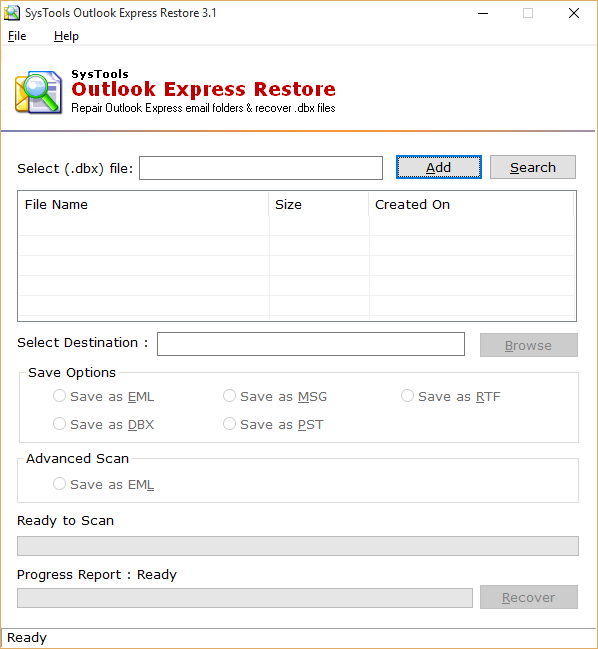 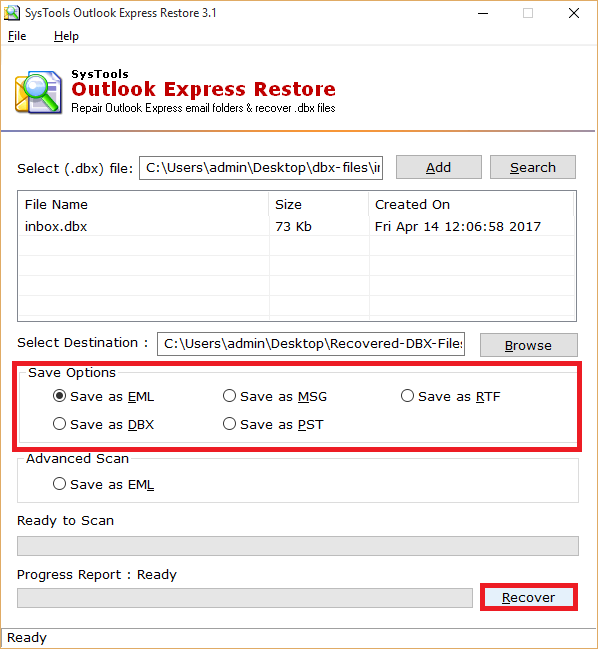 Repeat the above process to successfully add multiple dbx file. 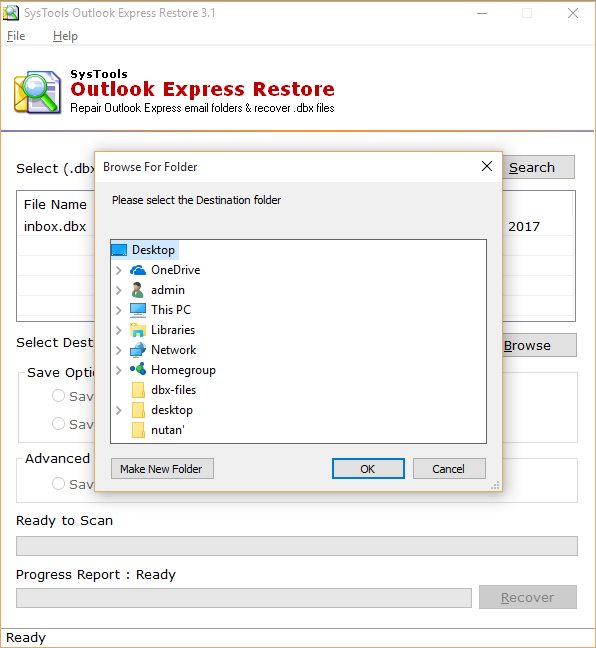 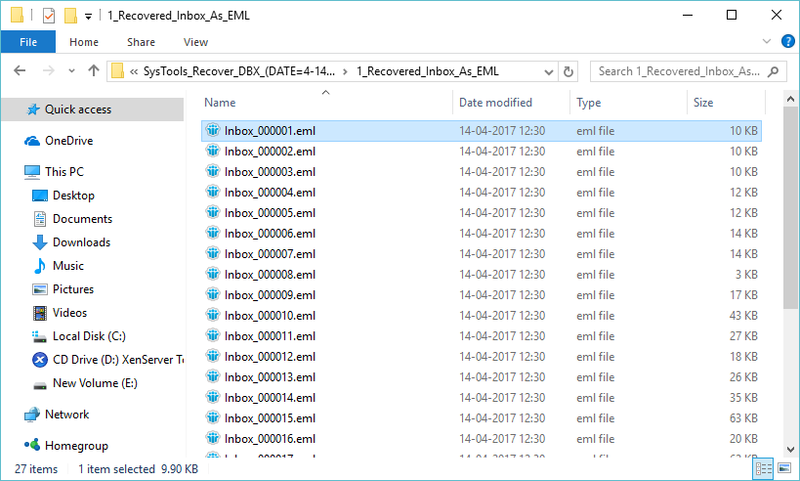 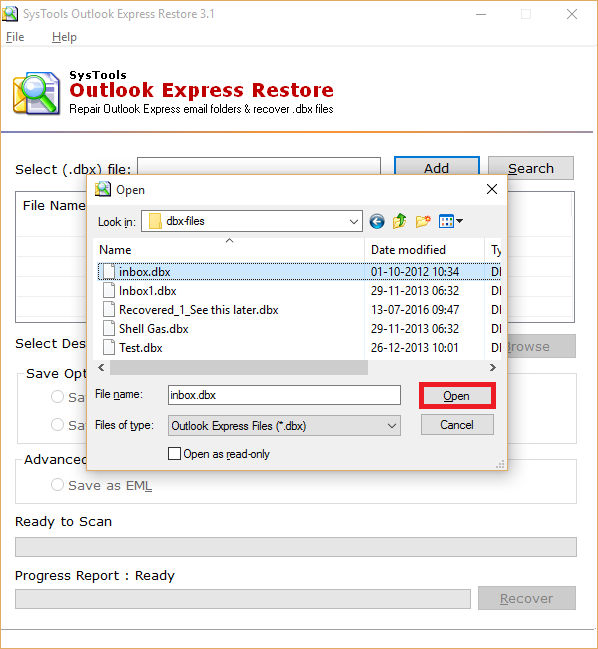 The recovered data can be easily be access in suitabel email client.